Sizes: Chest (to fit) S (35/37"); M (38/40"); L (41/43"); XL (44/46"); 2XL (47/49"). Fruit of the Loom Classic Hooded Sweat Lady-Fit (SS038): 80% Cotton Belcoro® Yarn / 20% Polyester; Weight: 280gsm; Double fabric hood with self-coloured flat draw cord; Front kangaroo pocket; Waist and cuff rib in Lycra® for shape retention; Shaped side seams for a more feminine fit; Produced using Belcoro® yarn fo..
Fruit of the Loom Lightweight Raglan Sweat (SS970): 80% Cotton / 20% Polyester; Weight: 240gsm; Lightweight unbrushed fleece; Raglan sleeves; Neck, waist and cuff in Cotton/Lycra® rib. 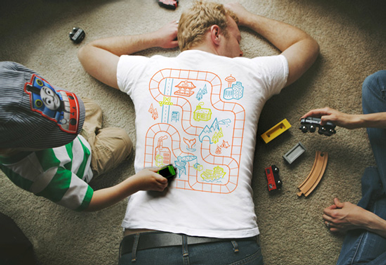 Sizes: Chest (to fit) S (35/37"); M (38/40"); L (41/43"); XL (44/46"); 2XL (47/49"). Washing Instructions: Machine wash at 40°C. 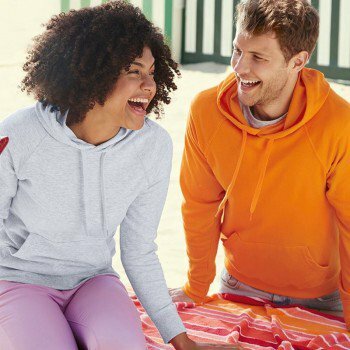 Do not..
Fruit of the Loom Premium Hooded Sweat (SS824): 70% Cotton / 30% Polyester; Heather Grey Weight: 260gsm; Colours Weight: 280gsm; Double fabric hood; Self-coloured flat draw cord; Single jersey back neck tape; Front kangaroo pocket; Waist and cuff in Cotton/Elastane rib. 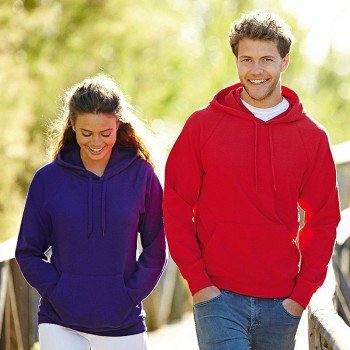 Sizes: Chest (to fit) S (35/37"); M (38/40"); L (..
Fruit of the Loom Lightweight Hooded Sweat Jacket (SS922): 80% Cotton / 20% Polyester; Weight: 240gsm; Lightweight unbrushed fleece; Raglan sleeves; Hood with self-coloured flat draw cord; Covered self-coloured plastic zip for enhanced printability; Two front pockets; Waist and cuff in Cotton/Lycra® rib. Sizes: Chest (..
Fruit of the Loom Lightweight Shorts (SS955): 80% Cotton / 20% Polyester; Weight: 240gsm; Lightweight unbrushed fleece; Elasticated waist with draw cord; Side pockets. Sizes: Waist (to fit) S (32"); M (34"); L (36"); XL (38"); 2XL (40"). Washing Instructions: Machine wash at 40°C. Do not bleach. Tumble dry low. 1 dot..